These animals have started a war of water balloons in which we will have to help our protagonist to win. 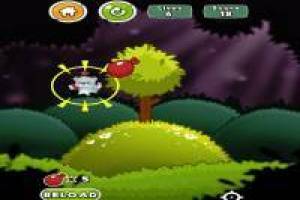 We will use the mouse of the PC or the touch screen of the mobile or tablet, to shoot the animals that appear. Around it will appear a kind of target but it is also a timer because if it takes a long time to hit the opponent he will throw one of his water balloons. If this balloon reaches you, you will lose one of your ten lives. 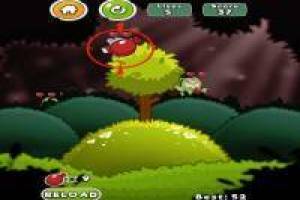 Accumulate points by hitting your opponents and reach a high score before you run out of lives. Remember that you have to go recharging the ammunition and as a result we warn you that if you hit the birds that are passing you will get extra points for Water Ball. 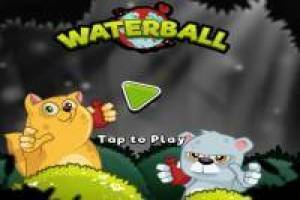 Enjoy the game Water Ball, it's free, it's one of our animals games we've selected.